Outside of the score, we would like to praise Xiaomi for its “natural” camera tuning style, which is superior to Apple’s iPhone XS camera when it comes to capturing colors tones at night. The XS remains generally better with edge details and HDR in daylight. Xiaomi Mi Mix 3 Review: THE Slider To Buy? That annoying play between the two halves aside, Xiaomi’s flagship slider is a pretty good buy if you’re looking for a device that delivers an all-screen experience for not much money. Still, I can’t recommend a phone that makes me feel less connected to the people in my life. Even after spending quite a bit of time in the settings making sure that there were zero settings stopping me from getting my notifications, the issues persisted. I even tried factory resetting and still had issues. If Xiaomi ever figures out software or gives users the option of using pure Android over its skin, I’ll be the first in line for its devices. Until then, buyer beware. It has both pros and cons, but taken as a complete package the Xiaomi Mi Mix 3 is one of the best mid-to-upper-range Android phones on the market in 2019. Having recently told you about another SmartPhone from this company, here – their latest – has landed on my desk. Anything designed by Phillipe Starck is always eye catching; an early DAB radio was his work and still sits on my bedside table in daily use. 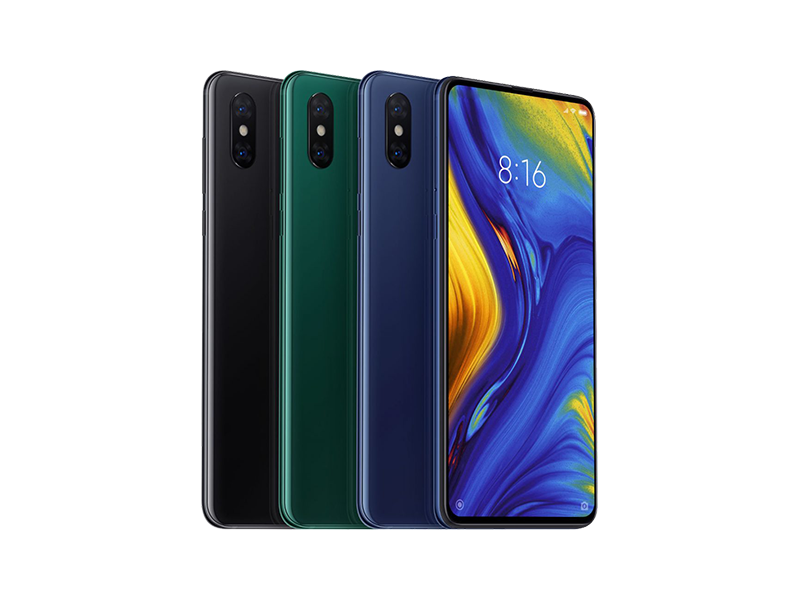 The Mi Mix 3 seems like a very deliberate attempt by Xiaomi to make a smartphone with a unique design that stands out from its rivals. That's an understandable impulse, but modern smartphone design and usage has become very standardized, especially in hardware, and users can get attached to certain features. Some people may balk at a phone with a slider and prefer similarly priced handsets like the Honor View 20 or OnePlus 6T, which have less idiosyncratic designs. Overall, we like what Xiaomi is bringing to the table. The SD855 edition of the Mi Mix 3 sort of explains why the regular Mi Mix 3 comes with Snapdragon 845. The Explorer edition is a nice spin to the already quite intriguing specs that the regular Mi 9 has. And the Mi 9 SE, well, we're looking forward to putting it through its paces in our review routine. Xiaomi's flagship phone is almost the perfect phone, and the company's making it available in even more countries. The bad news is the US isn't one of them. Xiaomi Mi Mix 3 Unboxing, Quick Review: The Best Slider Out There? Probably the only thing that’s working against the Mi Mix 3 is its small-ish battery capacity, coming in at 3200mAh. Thankfully the phone has Qualcomm’s QuickCharge 4 and wireless charging capability out of the box. The Xiaomi Mi MIX 3 only came to Malaysia in January this year since it was released in China last year during October, but nothing is ever too late if the price is right which they nailed it. Starting at RM2199 (or RM2299 if you want the Sapphire Blue or Jade Green), this bad boy has most of the features covered - using the current best Snapdragon chipset, great camera performance, it can play games well, a true maximized full-screen for video playback and a classy design. The Xiaomi Mi Mix 3 is the phone to buy if you like to watch movies and TV episodes on your way to work. The Mi Mix 3 steps into the past to bring us the future. The slider phone design makes way for a display-forward and almost bezel-free design that's unlike its pricier mechanised alternatives from Oppo and Vivo. And as the Mi Mix 3 arrives in the UK, it keeps its Honor and Lenovo competitors at bay. The last couple of years have been exciting for mobile photography, as manufacturers have developed multiple sensors and lenses for their rear cameras, and combined that hardware with advanced signal processing to maximize imaging possibilities. Xiaomi is one of the first to apply this approach to the front camera, and the benefits are clear, with the Mi MIX 3 delivering excellent results for flash and bokeh, thanks to the built-in selfie light and depth-sensing second sensor. Other attributes such as face exposure, color, and detail are also impressive, and thanks to generally good skin tone rendering, the Mi MIX 3 ranks high in our database of front camera image quality. There are things it can improve, of course, most notably the fact that both focus and depth of field are too limited. Denoising and dynamic range could be better as well, but given its many pluses, along with good results when shooting video, it’s clear that the Xiaomi Mi MIX 3 is a solid choice for the selfie enthusiast. Really, though, considering its price that is less than that of a OnePlus phone, there is little we could hold against the Xiaomi Mi Mix 3. It looks gorgeous, the full screen experience is something really cool, the gesture navigation is among the best we’ve used and it’s a joy just navigation around, plus you have plentiful storage on board. This phone is different; it's interesting, powerful and offers a distinctive, nearly bezel-free design with great screen quality. You get a lot of phone for your money, although it's hard to recommend above and beyond some more conventional rivals, as its slider mechanism doesn't really add that much and the selfie camera quality is poor. Swapping out the awkwardly placed selfie camera with a new dual-lens model that is tucked away behind the screen, the Mi Mix 3 is one of several new slider phones that shows how the concept *should* work. Not only allowing a proper full-display view, but adding new quick-access functionality to the phone. The Xiaomi Mi Mix 3 is set for release in the UK for £499 in Onyx Black or Sapphire Blue. There’s a limited deal appearing right out the gate for £449 when it launches at 12pm on the 16th of January 2019. If you’re buying from a source in China (online, even), you can find the device for around £445, shipped for free to the UK. This device isn’t currently available on Amazon, but if you’re getting one shipped to the USA through a source like GearBest, you can find this phone for around $550 USD. The Mi Mix 3 is an excellent offer coming just before the next flagship season. Xiaomi will be upgrading the phone in a month or two with the next 5G-capable Snapdragon chipset, but the price will go north of the current €500 mark. The Mi Mix 3 doesn’t disappoint as a flagship smartphone. It offers fantastic specs with great performance, great design, a near bezel-less screen, and a fantastic camera that takes excellent photos in all conditions. It lacks battery capacity and isn’t water resistant, but that’s a sacrifice you’ll have to make if you want to experience a new take on an old design. The Xiaomi Mi Mix 3 is an unquestionable looker, with a sliding mechanism that’s better engineered for real-world use than some of its motorised competitors. The Xiaomi Mi Mix 3 is a true all-screen smartphone straight out of the future, yet it takes cues from our slider phone past. You physically slide the display down to expose the selfie camera, which does make it a bit thicker and heavier than your average phone, and we do have durability questions. But the price and flagship-level specs make it tempting. The Mi Mix 3 steps into the past to bring us the future once more. The slider phone design makes way for a display-forward and almost bezel-free design that's unlike its pricier mechanised alternatives from Oppo and Vivo. Speaking of juice, the Mi MIX 3 only has a 3200mAh battery, mostly due to space constraints because of the sliding mechanism, though fast charging via QuickCharge 4+ and wireless charging capabilities make up for it. The Xiaomi Mi Mix 3 sets itself apart with its full-screen design, which targets a particular market of users who love having all the screen they can get – today. Because the design decisions behind this product are bold and therefore risky, the phone itself might be polarizing. Some people will love it, while others may laugh at the slider idea. In the end, it only matters how many people love it, and so far, the feedback is seemingly excellent. zSlider phones are back and I couldn’t be happier. Nothing beats that satisfying snap as the phone clicks back into place. Xiaomi has updated the form factor for 2018 though, with a large bezel-free display, four cameras and premium ceramic build material. This is our Xiaomi Mi Mix 3 hands-on. Sliders and flip phones were highly popular once, but the all touchscreen phone killed them off. The slider form factor is back and better than ever. Will the Xiaomi Mi Mix 3 start a trend the same way that the original did (which was among the first tall aspect ratio smartphones)? All said, there's no doubt that the Mi Mix 3 continues in the run of exciting, adventurous and experimental phones to come out of China. Throughout 2018 it's been a veritable feature of future tech and, on this evidence, that strength will only continue. Packing the same camera hardware as the Mi 8, Xiaomi’s latest smartphone has managed an improvement in its photography capabilities with modifications to its software and image processing algorithms. For still photos, it’s up there with some of the best devices we’ve tested, with good color, dynamic range, texture, and flash performance. Video performance is very similar to the Mi 8’s, although improved stabilization gives the Mi MIX 3 an advantage when shooting low-light movies. In short, the new Xiaomi is an excellent all-rounder. Xiaomi Mi Mix 3 Das bislang beste 5G-Smartphone! 80% Xiaomi Mi MIX 3 Slider geil! Xiaomi Mi Mix 3 Wird das Slider-Phone jetzt wieder zum Trend? 84% Recenzja Xiaomi Mi Mix 3 – czy slider ma sens? 80% Poznaliśmy Xiaomi Mi Mix 3 – eksperymentalna recenzja, jak sam smartfon! Xiaomi Mi MIX 3. Jaki jest przy pierwszym kontakcie i czy warto na niego czekać? Обзор смартфона Xiaomi Mi Mix 3: безрамочный слайдер без "родинки" и "челки"
Обзор Xiaomi Mi MIX 3: безрамочный слайдер с 10 ГБ оперативки. Он раздвигается!